Two Australian firefighters, on patrol with US Forest Service personnel in Washington state, were set upon by hunters, chased and shot at. In related news: a new study says the number of human deaths from wildfire smoke could double by 2100; forests are the forgotten climate change solution; Interstate 5 reopens after a six-day closure in California; and the Metal Roofing Alliance says forest fires are good for business. In Forestry news: the BC Forest Practices Board is auditing 5 woodlots and 5 range tenures; the BC Government announced new wildfire prevention grants; and despite support from tree farmers, the US Farm Bill may have to drop its forest-thinning measures. Finally, Washington state embraces cross laminated timber; Portland is hanging tough despite a CLT failure; Michael Green will keynote at a Boston wood conference; and Tulipwood CLT is featured at the London Design Festival. GREENWOOD — …A similar scene played out that morning in the Jackson suburb of Ridgeland. Less than fifteen minutes after Hyde-Smith publicly accepted the endorsement of the National Association of Home Builders — half a dozen of those supporters grilled her on tariffs. In this instance, the problem was a 20 percent tariff on Canadian softwood lumber, part of an ongoing trade dispute between the two countries. …But this concern over personal finances has not translated into concern for Hyde-Smith’s candidacy — or for President Trump. …Hyde-Smith told home builders she had recently been invited to the White House as part of a seven-member advisory team on trade. She said she has the president’s ear and full faith that resolving the trade issues is a priority for him. She said the trade battle was a long game that would ultimately result in a much better deal for American business. After a disastrous fire season, the Metal Roofing Alliance (MRA) is reporting greater interest from homeowners in how to prepare and make their homes “ignition resistant,” especially in western regions. Even homeowners who never thought they would be impacted by wildfire danger are recognizing that climate change is making blazes not only likely, but inevitable. From California to Colorado, British Columbia to Idaho, terrible fire devastation this summer has been a wake-up call for homeowners who are now in search of ways to make their homes more defensible. That includes increasing interest in non-combustible, less flammable materials, such as metal roofs and siding, concrete and heat-resistant glass. …“The look of wood is particularly popular in the west, but it’s simply not the best choice for areas vulnerable to fire,” said Renee Ramey, MRA executive director. Cross-laminated timber (CLT) is the clumsy name for a new construction material whose strength, beauty and ease of use offer the potential for revolutionizing construction of high-rise buildings and multifamily housing in Washington state. Also called mass timber, which includes laminated beams like glulam, CLT … allows relatively small trees harvested during forest thinning to be used for structural elements. While steel and concrete more commonly used in large structures produce far more greenhouse gases, CLT stores carbon and wins praise for being environmentally friendly. Used for years in Europe to build residences and offices, it more recently has been adopted elsewhere. …Washington state, once a lumber giant, is now establishing a presence in the sector. …Despite the current activity, it may take some time before CLT construction goes mainstream in Washington. For one thing, relatively limited production capacity exists now. Cross-laminated timber’s reputation and use in local construction projects won’t suffer the same fate as other building materials that have failed in the past and, in fact, should continue to improve as more is learned about how to incorporate it successfully, according to a pair of Portland attorneys. 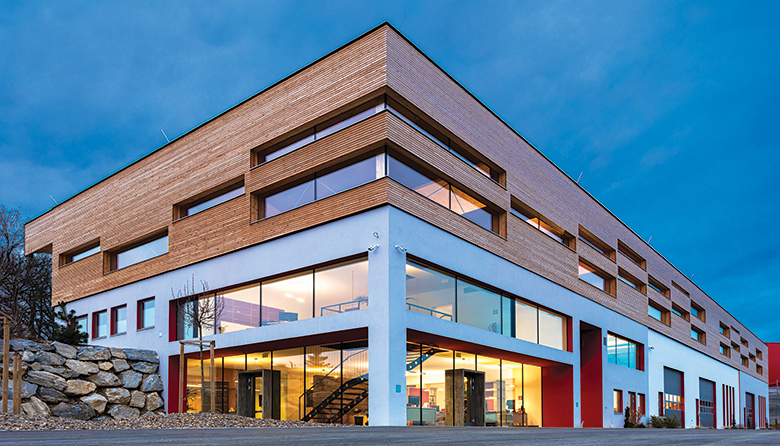 …Praised as an environmentally friendly, renewable product, CLT also can be less expensive than steel or concrete, depending on material availability and cost. 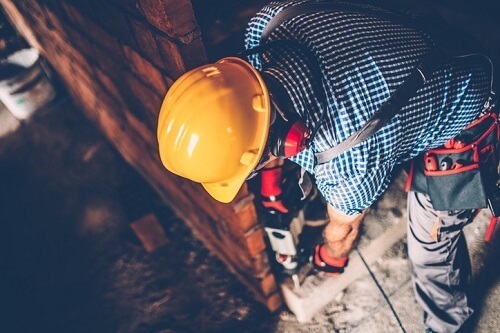 …Because its use is relatively new in the United States, however, CLT also can pose certain risks. 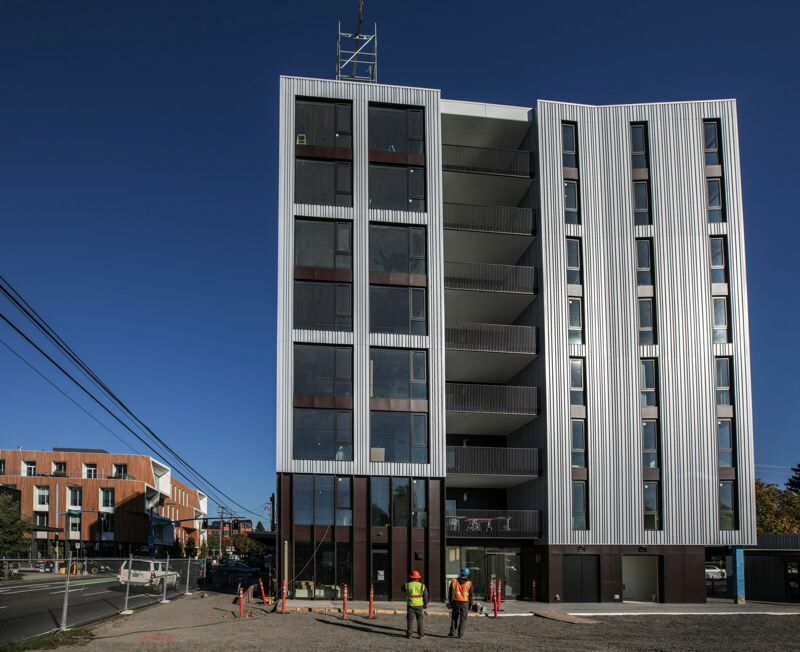 …The recent failure of faulty CLT panels in the Peavy Hall project at Oregon State University and the decision to shelve the 12-story CLT tower called Framework in Portland, highlight some of the concerns about its use as a building product. Despite the potential risks, Vermilyea said, CLT should continue to gain proponents because of its strengths. Michael Green will Speak at IWBC! The Industrial Wood-Based Construction Conference (IWBC) will showcase the future of construction. It is the first-ever event to bring the world’s top integrated, offsite, wood-based, automated construction innovators together with developers, architects, engineers, planners and others interested in game-changing approaches to construction. To speak at the event: A visionary architect, Michael Green is at the center of the mass timber movement. His mission has been to contribute to meaningful and sustainable change in building through innovation in construction sciences and design. Michael will join an all-star cast of keynote speakers including Andrew Waugh, Gerry McCaughey, Tedd Benson, Dave Walsh and Steffen Fuchs. The 2018 edition of theLondon Design Festival… features a number of “landmark projects” – outdoor thematic installations placed in various locations across London. …From September 15 through October 1, 2018, the newly-restored Sackler Courtyard of the Victoria & Albert Museum accommodates MultiPly, a temporary pavilion which presents two major problems of our time: housing crisis and climate change. 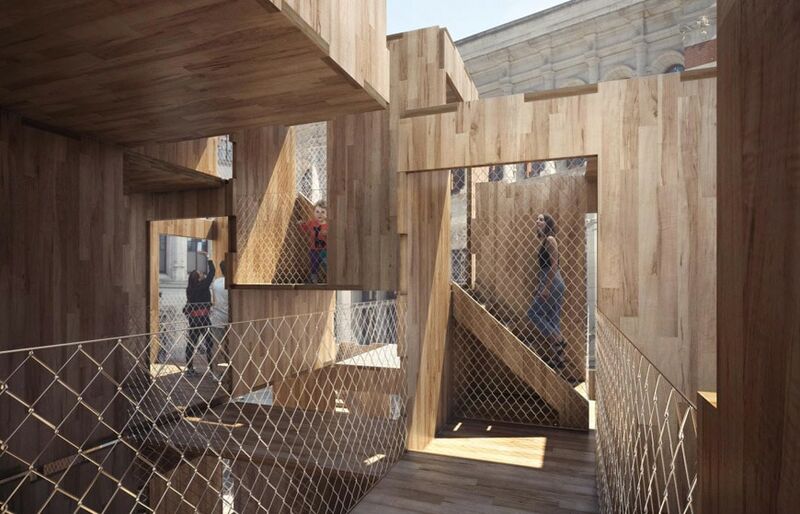 MultiPly, consisting of re-usable walls made from 60 cubic meters of American Tulipwood, is an installation open to the public and an example of modular architecture. The project has been developed by American Hardwood Export Council, Waugh Thistleton Architects, and Arup. The pavilion is made up of 17 modules composed of 102 cross-laminated timber (CLT) and a number of joints manufactured by the Construction Scotland Innovation Center (CSIC). Nanaimo – TimberWest is pleased to announce the two winners of the 2018 TimberWest Campsite Photo Contest. …The Top 25 photographs were made public on Facebook, Instagram and Twitter, and very quickly people began commenting on their favourites submissions. Throughout the week, the voting continued and by Thursday the Top 5 finalists were announced. “We had numerous impressive submissions this year. The photos captured the essence of summer on Vancouver Island – family, fun, and stunning natural settings,” said Jeff Zweig, President and CEO of TimberWest. “The winning entries are spectacular – each uniquely portraying what makes camping such a wonderful summer activity.” The two winners are Kay Lannan and Lena Murdock. The new Community Resiliency Investment Program will provide up to $50 million over the next three years to local governments and First Nations to help reduce wildfire risks around their communities. …“The new Community Resiliency Investment Program was designed from the ground up to address long-standing concerns with the way we were dealing with wildfire risks throughout the province,” said Doug Donaldson, Minister of Forests, Lands, Natural Resource Operations and Rural Development. The Program takes a holistic approach to wildfire … and will consider fire prevention activities on provincial Crown land and private land, in addition to local government and reserve land. …A key component of the new program is that it allows communities to apply for funding to cover up to 100% of their wildfire risk reduction projects… The types of activities eligible for funding have also been expanded to include more activities covered by the FireSmart program’s seven disciplines. The B.C. government’s revamped forest fuels program began taking applications Monday, with $10 million committed for the current year to assist communities to reduce wildfire risk. Communities can apply for up to $100,000 each to reduce fire risk, without the requirement for local cost sharing for work, Forests Minister Doug Donaldson announced Monday at the Union of B.C. Municipalities convention in Whistler. …The funds are available for seven categories: education, vegetation management, legislation and planning, development considerations, inter-agency cooperation, emergency planning and cross-training. 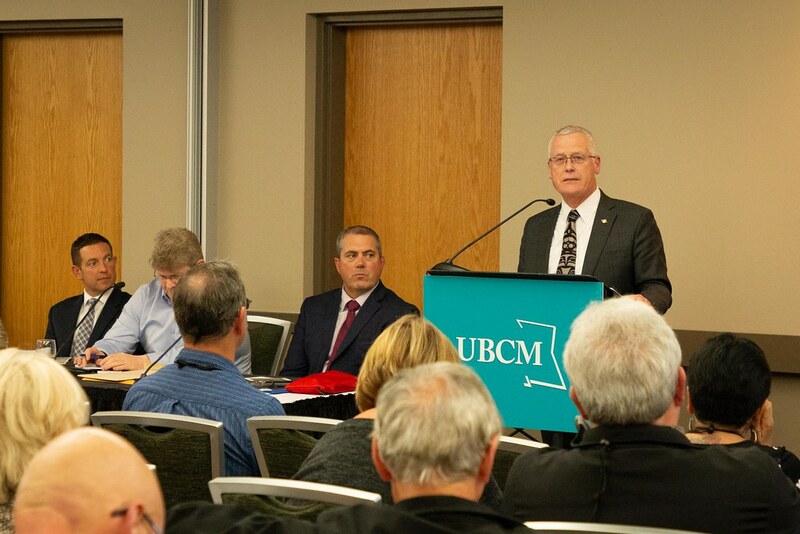 The program will continue to be administered through the UBCM, as it has been since 2004. TimberWest and the Siddoo family have announced the donation and creation of the Drs. Jagdis K and Sarjit K. Siddoo Park, an 8.4-hectare park in the Cowichan Valley. The new park is located six kilometres from the Koksilah River Provincial Park, just west of Shawnigan Lake. …Together, TimberWest worked with the Siddoo family to raise title to the land and donate the full parcel to the Cowichan Valley Regional District with a conservation covenant to guide future park use jointly held by the Cowichan Land Trust and the Nanaimo Area Land Trust. …The story behind the Siddoo Family and Kapoor Lumber goes back more than 100 years to 1906, when Mr. Kapoor Singh Siddoo emigrated to Canada from India, eventually prospering in the lumber industry in B.C. VICTORIA – The Forest Practices Board will audit planning and practices on five range tenures for grazing cattle in the Rocky Mountain Resource District during the week of Sept. 17, 2018. Auditors will examine range activities for compliance with the Forest and Range Practices Act. The grazing areas that will be audited vary in size from 524 to 29,287 hectares and are located throughout the district, from Golden to Elkford. Once the audit work is complete, a report will be prepared, and any party that may be adversely affected by the audit findings will have a chance to respond. The board’s final report and recommendations will then be released to the public and government. VICTORIA – The Forest Practices Board will examine forest planning and practices on five woodlots in the Peace Resource District, starting Sept. 17, 2018. Auditors will examine whether harvesting, roads, bridges, silviculture, fire protection and associated planning carried out between Sept. 1, 2016, and Sept. 21, 2018, met the requirements of the Forest and Range Practices Act and the Wildfire Act. The Peace district was randomly selected for audit. The board then selected woodlots as the focus of the audit. The woodlots are located within an hour to two-hour drive from Fort St. John, in an area also known for oil and gas development and ranching. Of the five woodlots, two were affected by wildfires in 2016. Born and raised in Northeastern Ontario, Abigail Williams wanted to find a profession that allowed her to remain close to home and spend a lot of time outdoors. Lakehead University’s Forestry program was a perfect fit and she is pursuing a Bachelor of Science in the field. In her quest to get hands on experience, she has now completed a second summer at the EACOM Timber Corporation’s Elk Lake sawmill as a Woodlands Summer Student. Her role was primarily to assist road construction supervisors as they maintained and built logging roads in Northeastern Ontario’s Timiskaming Forest, which EACOM helps to manage. These roads are crucial for accessing areas targeted for harvesting but they also serve local populations by connecting and facilitating access to remote areas and isolated communities. WASHINGTON — For more than a month, Secretary of the Interior Ryan Zinke and Secretary of Agriculture Sonny Perdue have been calling for a rollback of environmental regulations on forest-thinning projects they argue will help reduce the risk of wildfires, including the ones ravaging California. …The state’s Republicans in Congress have been pressing the same agenda for years. Congress, however, is poised to brush aside their pleas. Multiple sources on Capitol Hill and from advocacy groups affirmed that lawmakers are likely to drop most of the controversial forestry measures from the Farm Bill, the multi-year agriculture and land use law that members of Congress are trying to finalize this month. …With the House in session for just seven more legislative days this month and the Senate for 12, negotiators have little appetite for another major policy fight. The Farm Bill is nearing a possible finish line in the U.S. Congress, with several members of our California delegation – representatives Jeff Denham, R-Turlock, and Jim Costa, D-Clovis – on the committee to push it across the finish line. The timing is ideal, given the growing intensity of our wildfires, our increasing drought conditions and the tens of millions of dead and diseased trees in our forests. …Private forest owners like myself care about the land. We put in very real sweat equity to keep it productive, and we want to do what’s right to keep it healthy. But the majority of us are not wealthy. The costs of proactively getting ahead of fire threats continues to grow, and most landowners cannot afford to keep our private forests resilient in the face of ever increasing wildfire threats. STARKVILLE, Miss.— The newest timber harvesting and production equipment will be booming at the biennial Mid-South Forestry Equipment Show in Starkville on September 21-22. The show, which is the longest-running, live, in-woods demonstration of forestry equipment in the nation, is in its 34th year. The family-friendly event features continuing education opportunities for foresters and loggers. Landowners also can benefit from workshops held during the show. In addition to the 91 vendors, Bobby Goodson of the Discovery Channel’s Swamp Loggers series will be on hand. For more than a century, working forests have provided economic and environmental stability – and a myriad of benefits – to our state and its citizens. 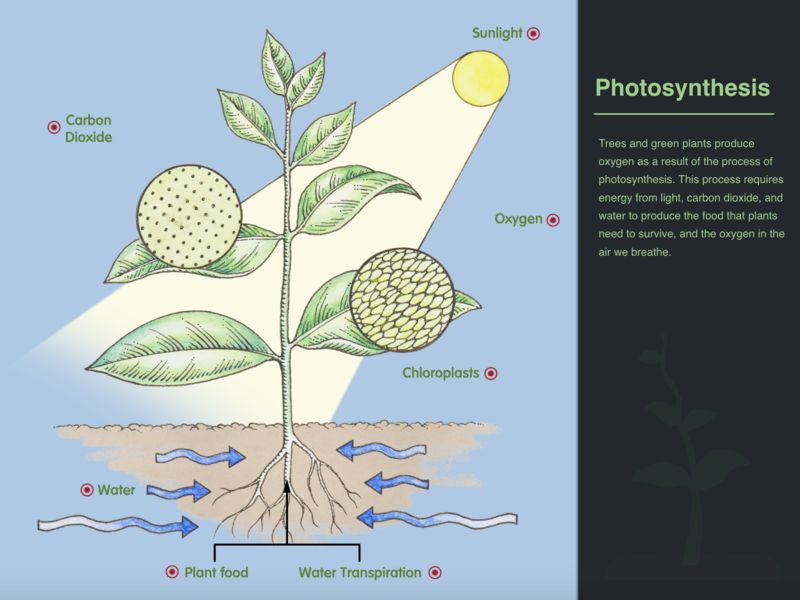 …To connect with Georgia’s 10 million citizens, the Georgia Public Broadcasting partnered with the Georgia Forestry Foundation to create an interactive, educational experience for students across the state. Aligned to third-sixth grade science, social studies, and ELA standards, Georgia Forests: Virtual Learning Journey is a free classroom resource designed to teach students about forest ecosystems, food webs, and life cycles, as well as forestry management processes, career opportunities, and much more. Georgia educators served as consultants on the project to ensure proper alignment to Georgia standards and to provide guidance on instructional best practices. ARKANSAS — The River Valley Log A Load for Kids chapter will conduct the 2018 Fish Fry Fundraiser for Arkansas Children’s Hospital in Russellville again this year. “The event is all about helping children in Arkansas,” committee chairman Allen Farley said. …”The River Valley chapter anticipates raising over $100,000 again for Arkansas Children’s Hospital this year,” Farley said. “It really makes you proud to live in a state where the folks are so generous.” …The Log A Load program started in 1988 when two loggers from South Carolina were discussing ways in which they could make a positive contribution to their community. The idea has now spread to 28 states, and began in 1993 in Arkansas. Canadian Armed Forces battling Cool Creek wildfire near Princeton, B.C. Sixty-two members of the Canadian Armed Forces descended on Princeton, B.C. Saturday afternoon to assist with fire suppression efforts at the Cool Creek wildfire. The 12,685 hectare fire is still classified as out of control. It was caused by a lightning strike and detected on Aug. 15 and is burning approximately 20 kilometres northeast of Eastgate. The military members relocated from Merritt to Princeton to assist ground crews. “Right now they are assisting us with mop up which means patrolling the burned area and extinguishing any hot spots that they find,” said BC Wildfire Service information officer Brenna Ward. 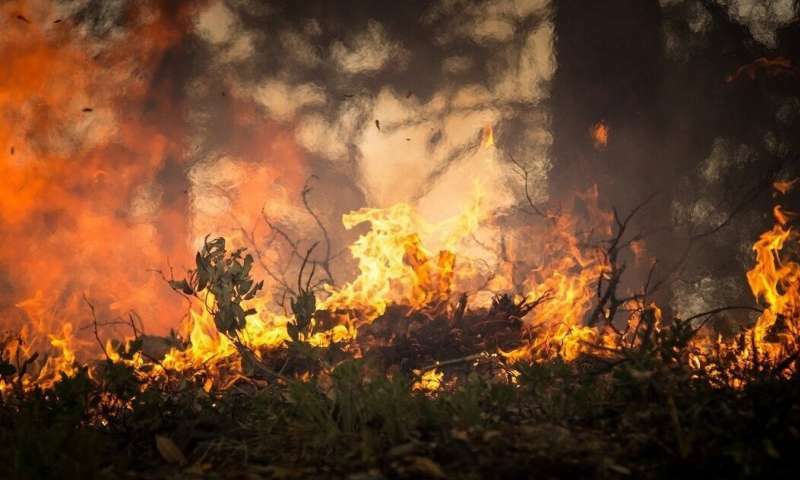 SHASTA-TRINITY NATIONAL FOREST, CALIF. — A major interstate that connects California and Oregon reopened Monday after a wildfire roared along the roadway and forced a six-day closure while burned trees and charred vehicles were removed. One lane in each direction of Interstate 5 near the Oregon border was reopened with restrictions and warnings of slow traffic, California Department of Transportation spokeswoman Denise Yergenson said. With the fire still burning, vehicles carrying flammable materials, including hay, wood chips, lumber and logs, will not be allowed along the 17-mile stretch in Shasta-Trinity National Forest. …The blaze has chewed through 64 square miles (165 square kilometers) of timber and brush. It was 5 percent contained Monday. The blaze was human-caused, officials said, without indicating whether it was arson or an accident. CADILLAC — Joe Alyea is in the middle of a two-week stint fighting fires out west. It would be more typical to find the Cadillac resident in the Huron-Manistee National Forest, where he is the deputy fire staff officer. 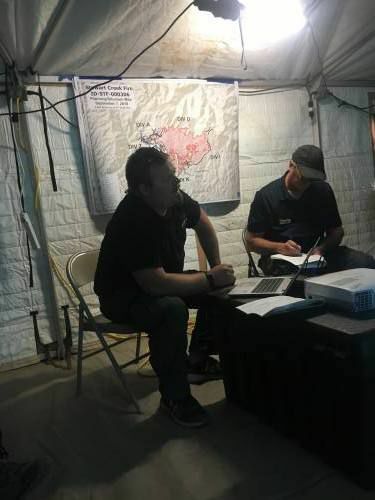 …In Idaho, Alyea’s job is to plan daily and long-term operations for the folks on the ground. For the past couple of days, firefighters have been doing firing — otherwise known as blackening — to hem in the fire. Readers might know the practice as “fighting fire with fire.‘ …Alyea is with a team of about 52 people from all over the midwest and eastern regions of the United States. GOV. CHRIS SUNUNU’S veto of the latest bailout for the polluting biomass industry should be upheld by the New Hampshire Legislature on Thursday. Like last year’s bailout, Senate Bill 365 demonstrates that industrial-scale wood-burning power plants simply cannot survive without wasteful and ongoing subsidies from ratepayers and the public. …The Legislature now has a clear choice before it: Continue to saddle New Hampshire ratepayers with extra costs to keep these polluting relics online or chart a course toward a clean renewable energy future by providing support for truly clean technologies like efficiency, offshore wind, and solar. …With the decline of the forest products industry, the timber lobby is placing its bets on subsidized biomass energy. …According to federal data, burning wood is one of the most expensive, polluting and inefficient technologies for producing electricity, exceeded only by garbage incineration. Can protecting forests help save the planet? Environmentalists are hoping the answer is yes. A group of Nongovernmental Organizations (NGOs) and community leaders are gathering in San Francisco on September 12 to discuss solutions they hope will mitigate the impacts of climate change. They’re hoping to reach a solution they’re calling 30×30. It’s a target set specifically to reach goals set forth by the Paris Climate Agreement to reduce carbon emissions, and the organizations attending the summit think sustainably managed forests and land can meet 30 percent of the targeted emissions reduction. What can forests do to reduce carbon emissions? Large forests are capable of sucking up large amounts of carbon. Swaths of forest like those found in the Amazon, the largest forested region on the planet, act like a sink to remove emissions from the atmosphere. A new study simulating the effects of wildfire smoke on human health finds continued increases in wildfire activity in the continental United States due to climate change could worsen air quality over the coming decades. The number of human deaths from chronic inhalation of wildfire smoke could increase to more than 40,000 per year by the end of the 21st century, up from around 15,000 per year today. Wildfire smoke is composed of a mixture of gases and microscopic particles from burned material known as particulate matter. Particulate matter from wildfire smoke often reaches nearby communities and can irritate human eyes, exasperate respiratory systems and worsen chronic heart and lung diseases, according to the federal Centers for Disease Control and Prevention. …The new study, published in GeoHealth, a journal of the American Geophysical Union, provides the first estimates of future smoke health and visibility impacts using a predictive land-fire model. Two Australian firefighters, on patrol with US Forest Service personnel in Washington state, were set upon by hunters, chased and shot at in an incident which has reached officials within the Foreign Affairs Department. The incident, which took place on August 23, shook Australia’s support operation in the northwest of the United States and led to demands for local fire services to upgrade security and guarantee the safety of the crew. Nearly 80 Australian firefighters have been working with the US Forest Service. …The incident, which involved two Australians and two local officers, led to the arrest of the two hunters. …The remote area, 160 kilometres from Seattle, is close to land in Oregon where armed anti-government activists seized and occupied the wildlife refuge headquarters for more than a month.